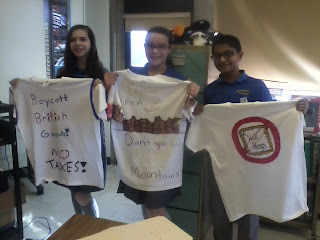 Tee shirts were made by the 7th grade class at Our Lady of Peace School during Social Studies Class. 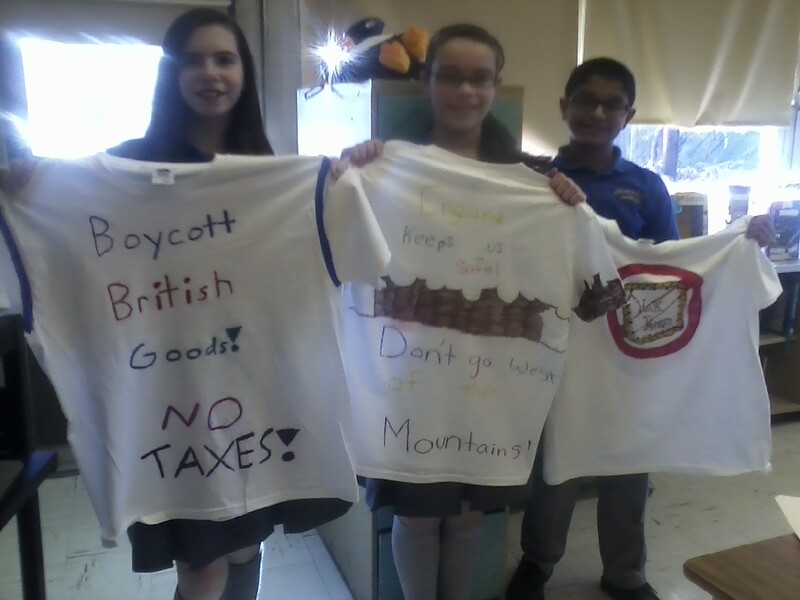 Each tee shirt represents whether they are either a Patriot or a Tory during the revolutionary war. 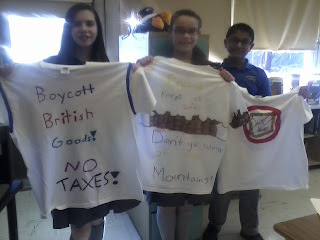 Instead of writing an essay from their point of view on a specific topic such as the Boston Tea Party, each made a T-shirt that expressed their viewpoint using slogans and graphics. 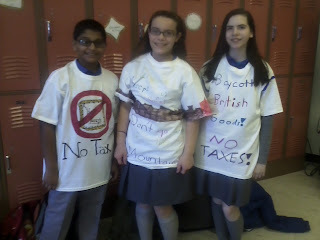 Pictures are Marvin Alexander, Christina Pepe, and Haley Rhumm.